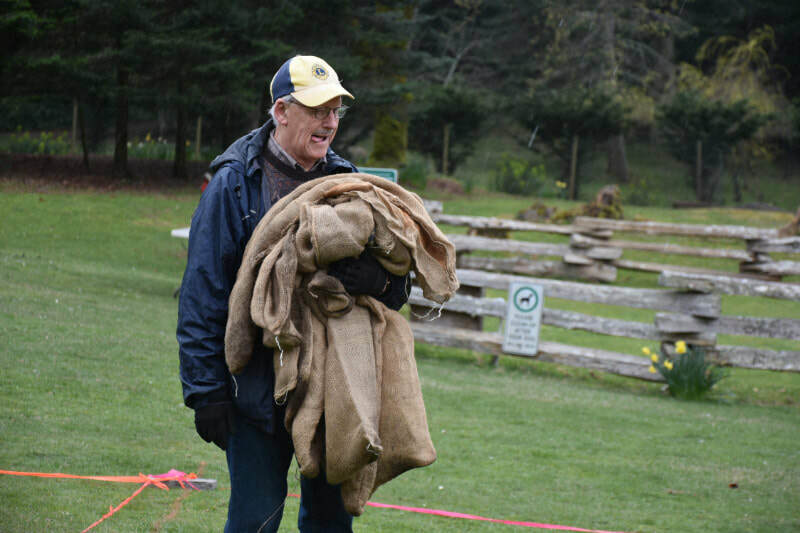 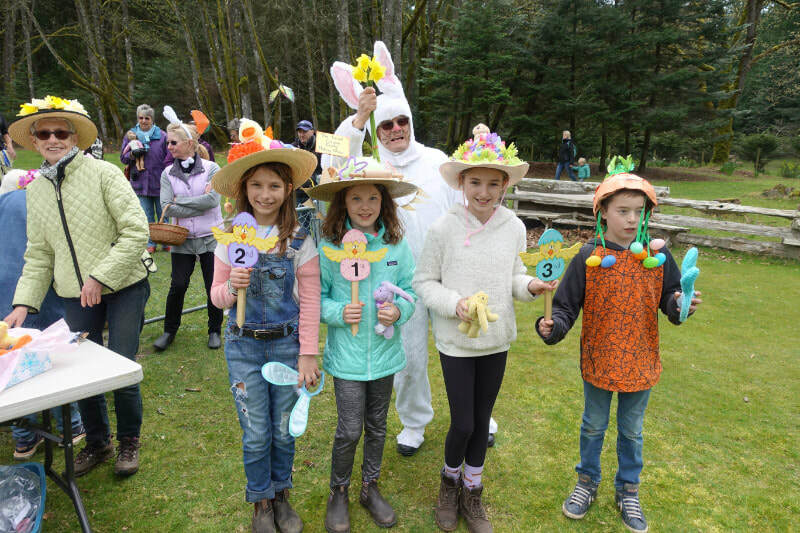 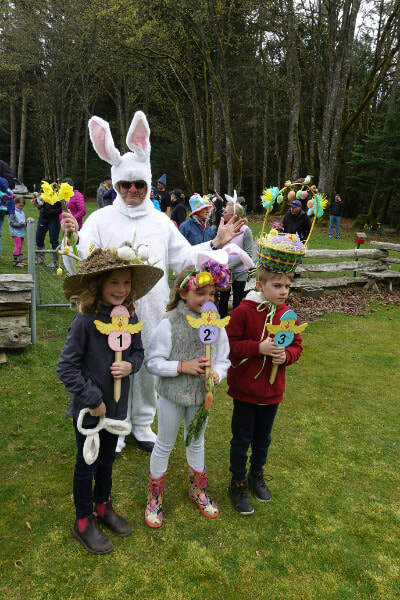 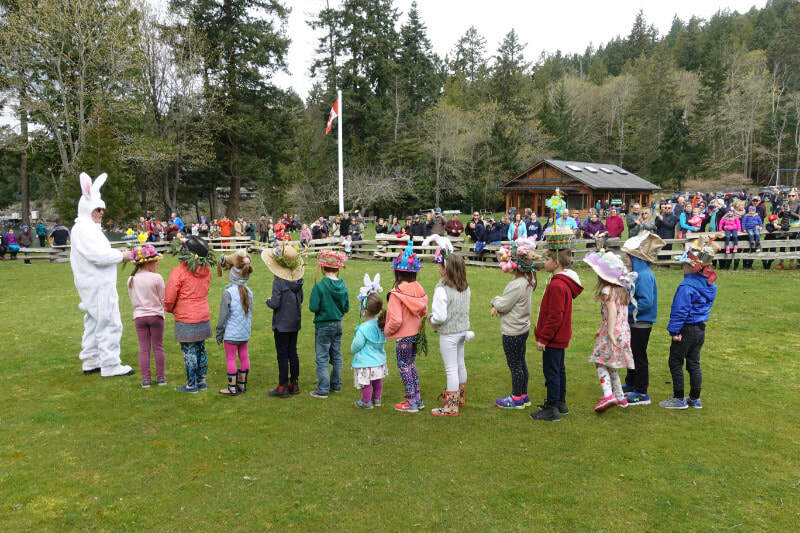 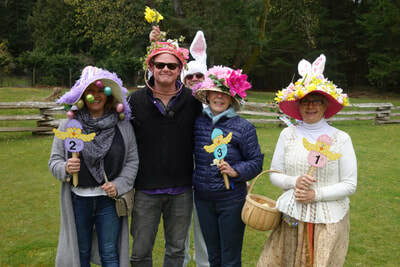 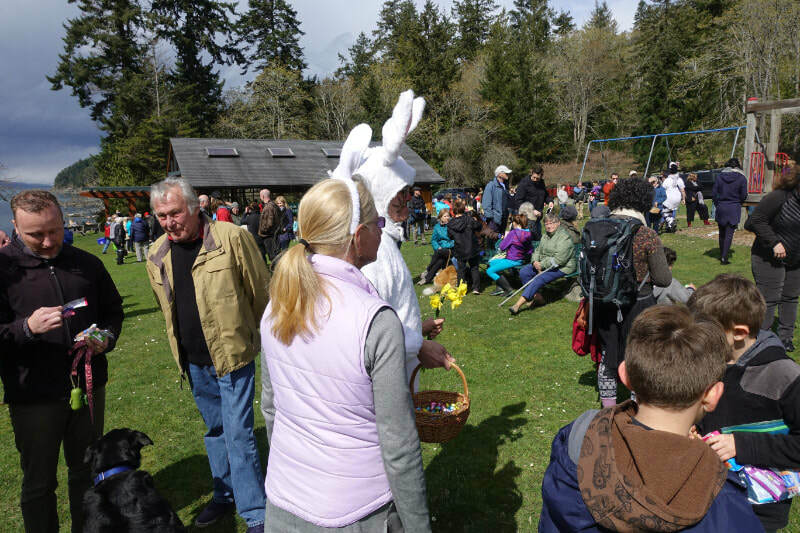 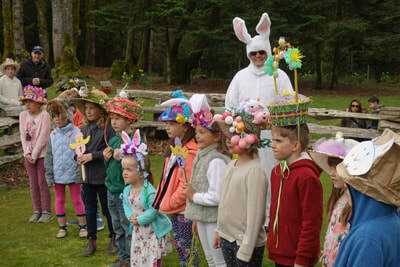 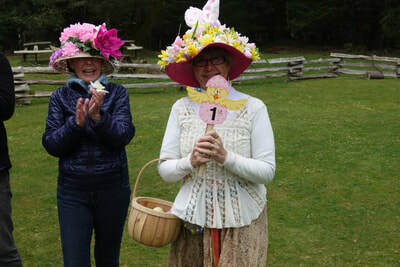 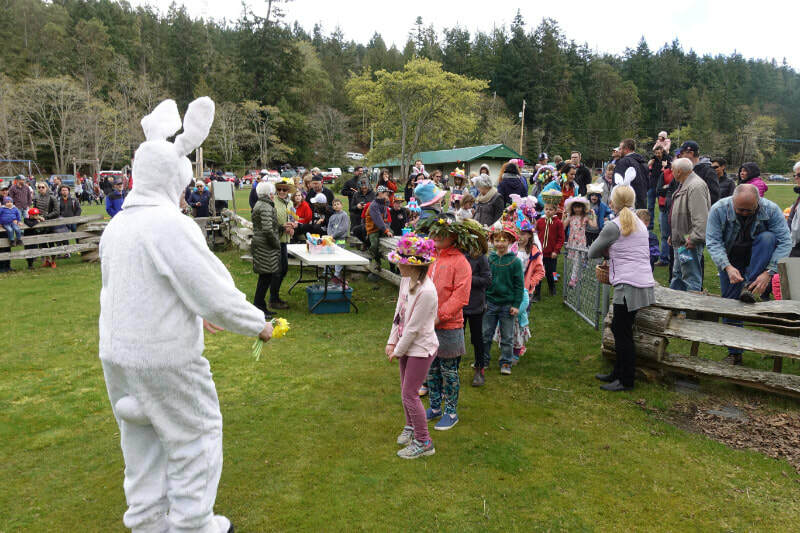 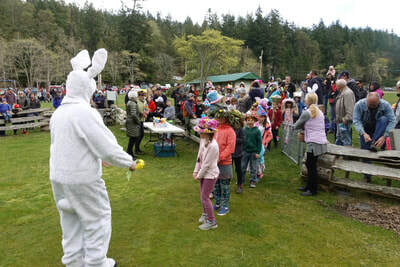 Every year local and visitor children enjoy the Easter Egg Hunt and the games that are managed by the Mayne Island Lions and various "Easter Bunny stand-ins". The Saturday before there is a clean-up squad of lions with shovels and pails to remove as many traces of our deer population droppings as possible. This year we had a rough count of 160 children and their parents which made for a very busy Easter Sunday in the park. 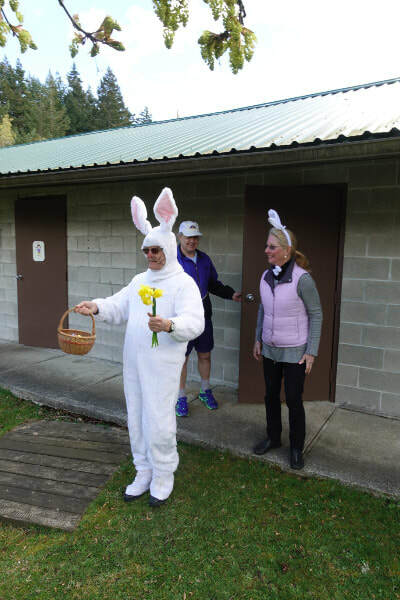 Thanks go out to various lions (Irene and Nigel Barrett along with Alan Guy for the games) and non-lions (John the Easter Bunny O'Brian) along with Helen O'Brian, Marion Rea, Kathy Warning and many other brave adults for providing this pleasant interlude for our young people. The photos below attest to the fun that was had by all. 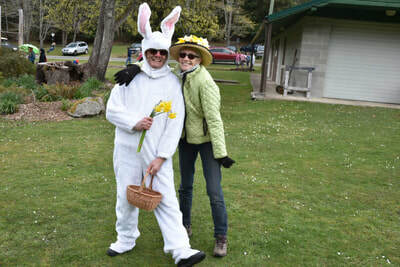 The first pictures are of the contest winners and that wicked Wabbit. 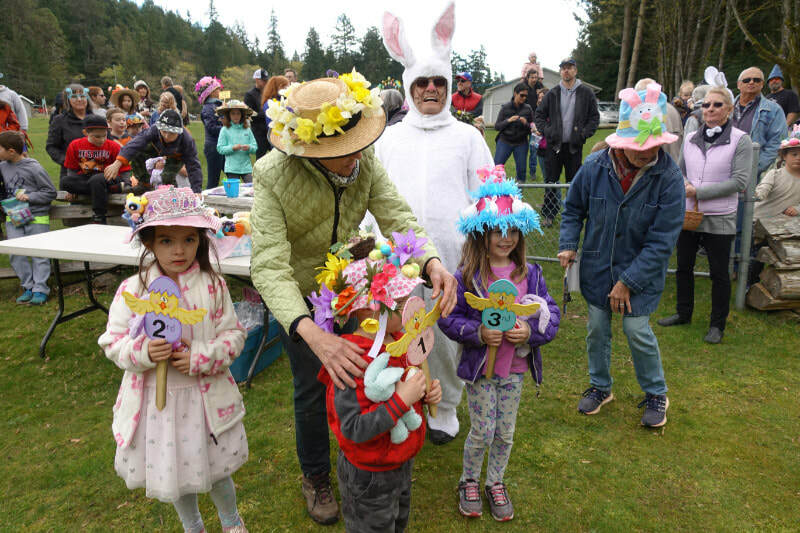 The rest are for the fun everyone had.